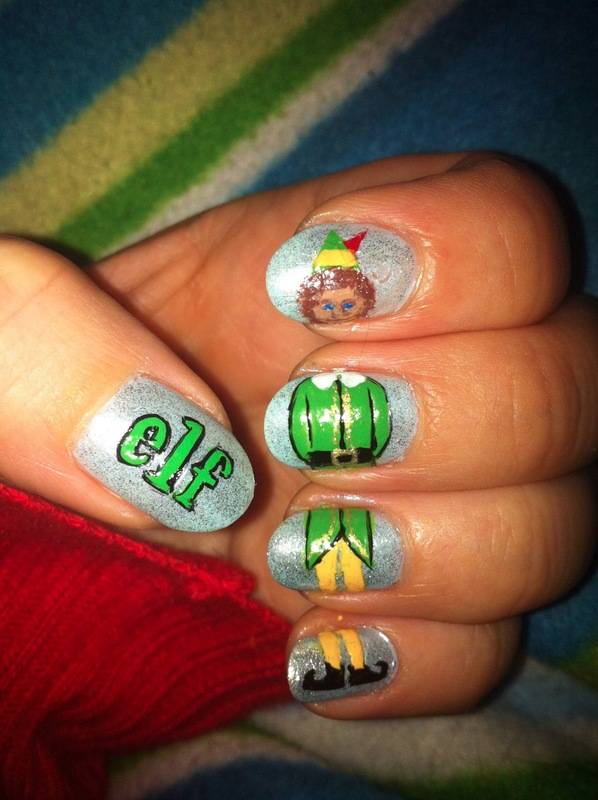 'Elf' and 'Home Alone' nails! These are two of my favourite Christmas movies which I watch every year at Christmas time. I was actually watching Elf whilst painting these. So for my left hand I have the Elf title and Buddy the elf spread along the rest of my nails. 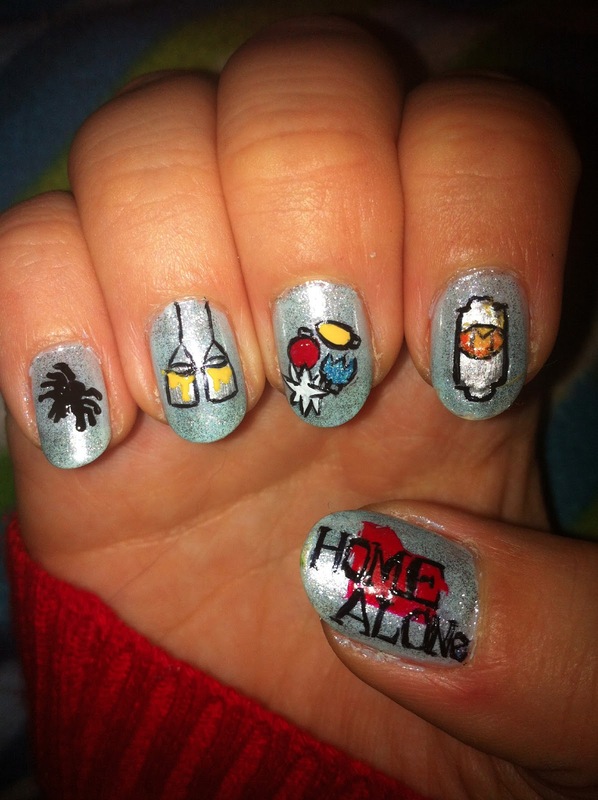 Then on my right hand I have the Home Alone title on the thumb and some of the traps which Kevin lays out; these are a tarantula, paint cans, broken Christmas tree decorations and the burning hot door handle with the letter 'M' on it.